When it comes to weight loss and fat burning, sleep is the simplest yet most-effective thing you can do to get results. There is mountains of evidence showing how inadequate sleep causes weight gain by disrupting hormones, reducing metabolism, decreasing insulin sensitivity and causing inflammation (to name just a few). We’ll get more into exactly how burn fat while you sleep supplements work later. For starters, let’s look at how the best nighttime fat burners compare and how to choose the right one. ✓ When should I take PM fat burner supplements? ✓ Will nighttime fat burner supplements make it hard for me to sleep? 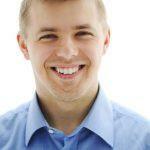 ✓ Can I use nighttime fat burners if I use a daytime fat burner? ✓ What results can I expect with nighttime fat burners? ✓ Do nighttime fat burners really work? 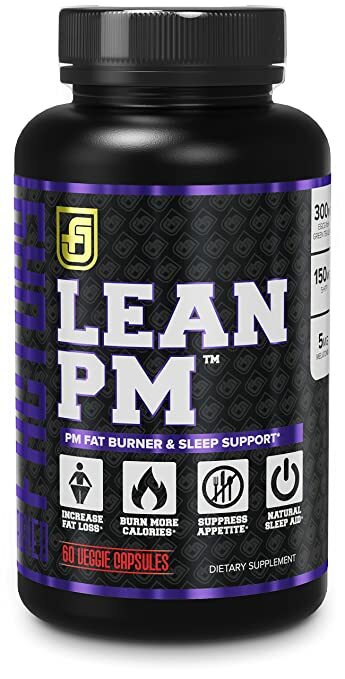 The standout ingredient of Lean PM fat burner is its high amounts of epigallocatechin-3-gallate (EGCG), an extract from green tea which has numerous proven benefits like reducing cancer risk, boosting immunity, protecting cells from damage, and reducing stress. As far as weight loss goes, the EGCG is proven to help increase metabolism to burn fat. It also helps regulate blood sugar, and can help prevent weight gain in that way. 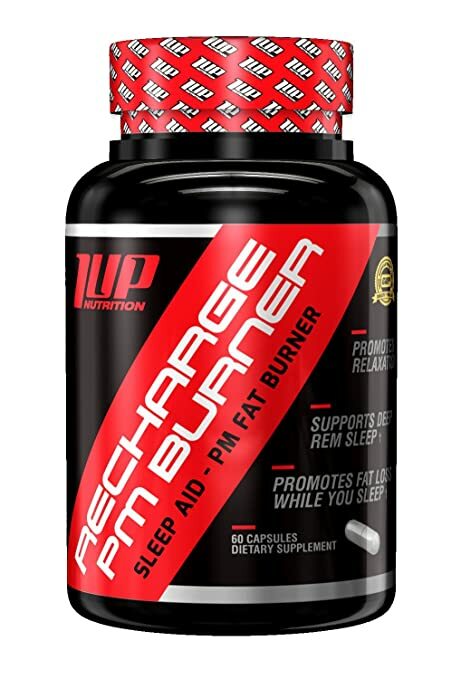 What I particularly like about this nighttime fat burner is that its sleep-promoting formula is very well balanced. It also includes Bioperine which increases bioavailability so more of the nutrients actually get absorbed into your body. EGCG helps boost metabolism. A balanced mix of magnesium, amino acids, B6 and melatonin help promote sleep and reduce stress. Best For: Stressed out people who need a serious PM fat burner. 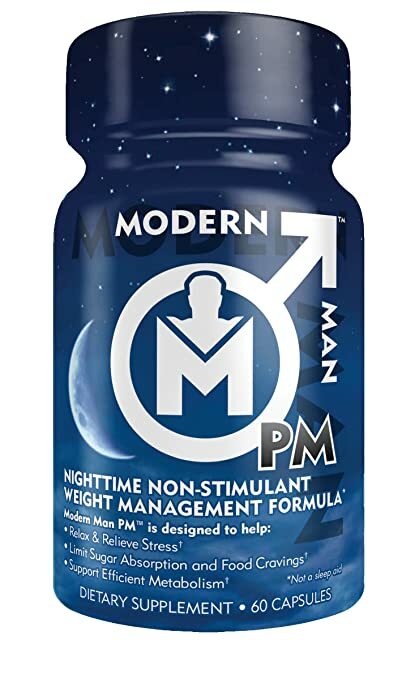 Modern Man PM is one of the more popular nighttime fat burner supplements. The thing that really makes it stand out is that the fat burner contains green tea (decaffeinated) and green coffee bean extract. Yes, these ingredients DO increase fat burning – but they can also make it harder for sleeping. For many people, taking caffeine to promote fat burning at night would be a bad idea. However, if you are taking a daytime fat burner, it might be just what you need. The small amounts of caffeine can help prevent that crash-and-burn feeling you get as your daytime fat burner wears off. Modern Man PM also contains ingredients which suppress appetite and promote restfulness. The amounts of each ingredient are quite high. Just be warned that some ingredients can cause side effects like dizziness or upset stomach. You might want to start with a half dosage of the supplement to see how you react. Core Ingredients: Green coffee bean helps boost metabolism. White kidney bean blocks carb absorption. Ingredients like garcinia cambogia, L-teanine, and hoodia gordonii relax the body and promote serotonin production. Best For: People taking stimulant fat burners during the day. Sheer SHRED has one of the highest amounts of white kidney bean extract and GABA of any nighttime fat burner supplement. White kidney bean extract is a well-known and studied carb blocker. Research shows that white kidney bean helps prevent weight gain by reducing the amount of carbs absorbed in the digestive tract. The fewer carbs your body has when sleeping, the less of them get stored as fat – and the more likely your body is to burn fat for nighttime fuel. The sleep-promoting ingredients of this supplement are also quite impressive. GABA is one of the body’s main inhibitory neurotransmitters and thus is great for relieving stress (which can contribute to weight gain and hormonal problems) and promoting relaxation. Since GABA tends to be pricey, it isn’t always included in supplements. 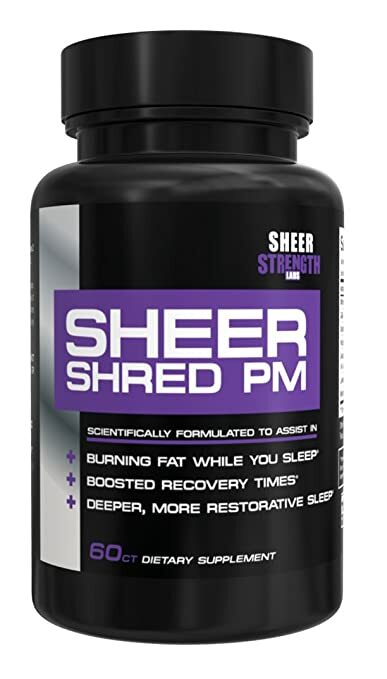 Sheer SHRED consists of a carb-blocker to prevent nighttime weight gain as well as various ingredients proven to promote sleep and relaxation. The high amount of GABA is particularly noteworthy. Best For: People who eat carbs more than 3 hours before going to bed. 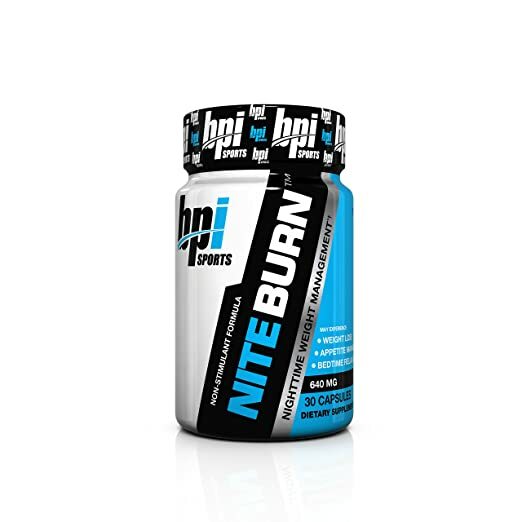 Nite Burn by BPI Sports consists of a propriety blend, which means we don’t know the exact amount of each ingredient. However, the amount (640mg) is very high compared to other PM fat burners. One of the standout ingredients in this supplement is vitamin D3. Even though we only ever hear about vitamin D in regards to calcium absorption, it is actually a very important hormone (yes, vitamin D is a hormone!). Recent research shows that inadequate vitamin D is linked to obesity, particularly higher amounts of belly fat. Considering that approximately 50% of the population might be lacking vitamin D, this is something to worry about! Even though we don’t know the exact amounts, it is likely that there are high amounts of white kidney bean extract in Nite-Burn. This we know because many users report high amounts of fat loss, but also bloating – which is a side effect of white kidney bean because it blocks starch absorption and can cause intestinal fermentation. Core Ingredients: Raspberry ketones promote fat cell breakdown. White kidney bean extract blocks carb absorption. Green coffee bean increases metabolism. Saffron suppresses appetite and is calming. Ingredients which promote sleep include melatonin, L-trytophan, dandelion and lemon balm. Best For: Carb lovers who want to target abdominal fat. Like the other PM fat burners on this list, 1UP contains ingredients like GABA, l-tryptophan, 5-HTP and melatonin for promoting sleep. However, 1UP has some very different ingredients. Its L-carnitine is a well-known fat burner and muscle builder. L-carnitine also improves focus and clarity, but it can have the downside of making it harder to go to sleep. Note that L-carnitine needs carbs to metabolize, so it is rather pointless to take this supplement if you aren’t eating some carbs before bed. Another interesting ingredient in 1UP is glycerophosphocholine. The research shows that this ingredient boosts HGC production and also helps focus, fertility, and libido. The mucuna pruriens in 1UP is also a known aphrodisiac and fertility enhancer, so this supplement might help couples burn fat in other ways at night! Best For: People who eat carbs before bed and are interested in benefits beyond fat burning, such as better libido and focus. PM fat burning supplements are a lot different than the fat burners you would take during the day. Obviously, they can’t work by stimulating your body (you need sleep to stay healthy!). 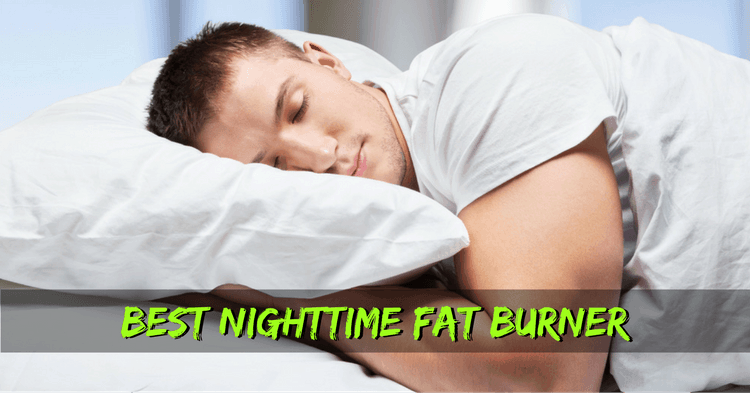 Nighttime fat burners also can’t work by thermogenesis because this too would upset the body’s sleep cycle. Instead, you’ve got to pay attention to the different matrixes in the supplement. In general, the best nighttime fat burning supplements will have two matrixes: Sleep matrix and fat-burning matrix. Sleep is incredibly important for weight loss, but not just any sleep will do. You need to get your body into a state of REM. As Psychology Today talks about here, REM is the sleep stage where your brain is most active. In fact, that’s when the brain is MORE active than when you are awake. During REM, your brain uses glucose for fuel and can burn significant amounts of calories. Any disturbance to REM is also going to wreak havoc on your bodily systems and lead to weight gain. Thus, you can’t just take any ol’ sleeping pill to knock you out at night and expect fat-burning benefits. Sleeping pills would actually hinder your weight loss goals by messing up your normal sleep cycle. The key is to take supplements which naturally promote the deep-sleep cycle with REM. Melatonin: This is a hormone which helps control the sleep/wakefulness cycles. GABA: GABA is an inhibitory neurotransmitter which calms the body and reduces anxiety. It also has the benefit of boosting growth hormone, which is crucial for burning fat and gaining muscle. L-theanine: This is an amino acid found in green tea which promotes better sleep without causing sedation. 5-Hydroxytryptophan: Better known as 5-HTP, this amino acid is a precursor to serotonin, the body’s “happy molecule” which also promotes sleep. L-tryptophan: Famous for being the amino acid in turkey which makes us sleepy, tryptophan is converted to serotonin and melatonin in the body to naturally improve sleep. Honestly, not even the best nighttime fat burner supplement is going to help you shed massive amounts of fat while you sleep. You still need to exercise and eat well during the day if you want to support your body’s ability to burn fat. However, many people report small amounts of extra fat burned from taking PM supplements – and every little bit helps! Some nighttime fat burning supplements do contain caffeine. For people taking large amounts of caffeine during the day, this small amount of caffeine before bed can be good for keeping metabolism up. For those not used to lots of caffeine, stay away from caffeine-containing PM fat burners! White kidney bean extract: This supplement blocks carbohydrate absorption and thus reduces fat storage. You’ll want this in your PM fat burner if you eat carbs before bed. Raspberry ketones: Famous for their ability to increase fat burning and crank up metabolism, raspberry ketones also work at night. Just be warned that they can sometimes make you feel jittery and cause problems sleeping so dosage needs to be kept low before bedtime. L-carnitine: A “vitamin-like compound” similar to B vitamins, L-carnitine helps transport fat into the mitochondria of cells. It also has numerous other benefits like reducing blood glucose levels even after eating carbs. I’m not going to dwell on this much, because you probably already know that quality supplements are going to cost more. Don’t expect to get much benefits from a cheap PM fat burner! In general, expect to pay approximately $0.70 to $1.20 per serving of the nighttime fat burner. Most PM fat burning supplements have 30 servings but make sure you actually check the number before buying to be sure you get a good value. This can be a bit tricky because some ingredients in nighttime fat burner supplements kick in faster. For example, it is generally recommended to take melatonin 30 minutes before going to bed whereas GABA should be taken 2 hours before bed. If you have trouble getting to sleep, then you’ll want to take your supplement about 1-2 hours before bedtime. If you usually don’t have trouble sleeping, then taking the supplement right at bedtime should be fine. If unsure, just follow the manufacturer’s instructions! Some PM fat burners do contain caffeine or ingredients which can stimulate the body. These could make it hard to sleep! If you have trouble sleeping, then look for a PM fat burner with a focus on sleep-promoting ingredients and fewer fat-burning ingredients. Yes! 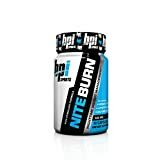 A lot of people use nighttime fat burners to complement the fat burner they use during the day. The nighttime supplement can also help you “come down” from the stimulants in your daytime supplement. Don’t expect to see any major weight loss gains, or expect to see fat loss quickly. However, you should be able to sleep better right away. The benefits of improved sleep are great. Not only does adequate sleep set your body up for weight loss, but it gives you better focus, reduces stress, boosts immunity, and prevents inflammation (to name just a few benefits). Depending on the supplement, there may be ingredients with proven weight-loss benefits like increasing HGC levels, increasing fat metabolism, or blocking carb absorption. However, the main benefit of PM fat burners comes from sleep itself. A study in the journal Obesity found that inadequate sleep caused a drop in leptin, the hormone which triggers satiety and regulates fat usage. Research shows that fatigue causes people to eat more and make poor food choices. Lack of sleep hinders the body’s ability to process sugar and causes high blood sugar, according to a study in the Annals of Internal Medicine. Your metabolism slows when you are tired as a way to conserve energy, resulting in weight gain. If you are unhappy with how your weight loss goals are going, then it is worth trying out a nighttime fat burner supplement. These supplements aren’t going to cause you to shed tons of fat instantly, but they do help! Plus, sleep has dozens of other benefits, so your body will thank you for the quality zzz’s that PM supplements can give you.